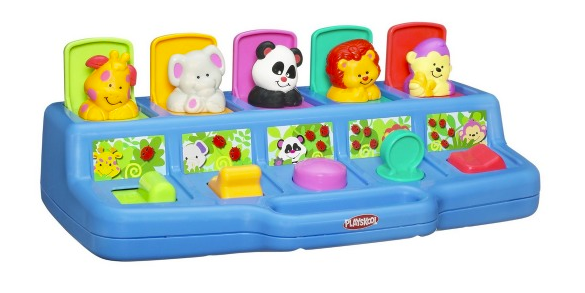 Playskool Busy Poppin’ Pals Toy Only $10 + FREE Prime Shipping (Reg. $19)! You are here: Home / Great Deals / Amazon Deals / Playskool Busy Poppin’ Pals Toy Only $10 + FREE Prime Shipping (Reg. $19)! Your baby/toddler will love playing with super fun Playskool Busy Poppin’ Pals Toy which is only $10 (Reg. $19) right now! Great gift idea or even baby shower gift!